The 3 Khans (Aamir, Shahrukh and Salman) have been ruling the Indian Box Office for more than two decades now. All three have been consistently successful and delivered numerous hits over the years. While few of their ‘bad’ films have done exceptionally well at the box-office, some of their exceptionally good films have tanked. Here is my list of 5 such movies, featuring the 3 legends, which deserved a lot more success than what they got. 1. Andaz Apna Apna: A mad comedy, directed by Rajkumar Santoshi, which featured Aamir and Salman together for the first and probably the last time. The movie has attained cult status over the years. All characters and dialogues are so popular now, that it’s hard to believe that the film didn’t do well at the box-office. Imagine if Andaaz Apna Apna released today? Uui Maa. 2. Swades: This brilliantly directed patriotic saga highlighting the issue of brain drain was directed by Ashutosh Gowariker after the Oscar nominated Lagaan. 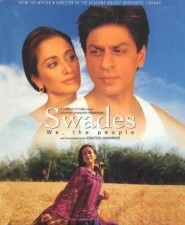 Criticized for it’s length and lack of entertainment value, Swades was a rare failure for Shahrukh Khan, who as Mohan Bhargav, delivered arguably the best performance of his career. 3. Akele Hum Akele Tum: Mansoor Khan and Aamir Khan came together for the third time (and most likely their last outing together) after the super success of Qayamat Se Qayamat Tak and Jo Jeeta Wohi Sikandar. It was a superb portrayal of a sensitive relationship between husband and wife. The performances by Aamir, Manisha and even the child actors were outstanding. This movie has some of the best romantic tracks composed by Anu Malik. 4. 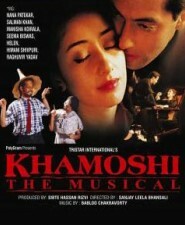 Khamoshi – The Musical: Sanjay Leela Bhansali’s debut was nothing short of a classic. The musical plot was unique and wonderfully executed. Salman, Manisha, Nana, Seema Biswas and Helen were fabulous. Also the songs composed by Jatin Lalit lived upto the musical theme. Despite all these ingredients, Khamoshi remained Khamosh at the box office. 5. Dil Se: Yet another fantastic terror based movie by Mani Rathnam, after the success of Roja and Bombay, which were based on similar themes. Manisha Koirala, unfortunately, is featuring in the list for the third time. The movie was stylishly shot and A.R. Rahman compositions for Dil Se were probably his best to date. That’s my list of the Top 5 Khan films that deserved better at the box-office. One of my personal favorites, Jaan-e-Mann, couldn’t make it. Other films that deserved better are London Dreams, Phir Milenge, Anjaam and Mann. Do let me know your views. Any other film that I should have included in the list? Is Akshay Kumar a threat to the top spot? For me, the most underrated Khan movie has to be Andaz Apna Apna, and secondly Jaan-e-Mann. I fail to understand why Swades is considered to be a failed classic. It was probably the only SRK movie that put me off to sleep about 5 times during it’s four hour runtime. A film can be sensitive, preachy.. but it has to be entertaining. Swades was a documentary. Agreed SRK’s performance was great. But again, I don’t understand how Filmfare changed their ‘popular’ award and decided to give it to a performance in a flop film. Jaanemann was dull and non sense. Mann,paheli deservd better! where is MY NAME IS KHAN????? Although it was hit but it deserved much more than what it got in india . Andaaz apna apna and jaan-e-mann..
Dil se, khamoshi or swades are slow paced.. Dont had potential be hits unlike commercial cinema.. So disagree with some of these..
aamir khans comic timing was far better than salmans in AAA….. I thought Salman was very good in AAA. 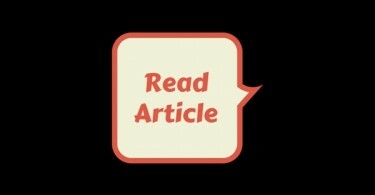 I agree with the list.. Good sensible article by Abhishek Shama. Where is Paheli and Mangal Pandey? Why didn’t you include it in notable films at least? Ye btao mallu cheap criminal ko phansi kb hogi. Duplicate should be in the list..